This fall I visited conference “Textile-Smart Art” organized within the framework of the 50th Anniversary of Textile department of the Art Academy of Latvia. It was very interesting to hear speech of swedish artist Johanne Landin “Knitting – a living tradition”. She was talking about different knitting ornaments & inspirations. This was the first time I get to know that Latvian mitten ornaments are used in many countries, even in USA. Christmas time is very special for all the people working with retail. Decorations are always needed. This year I feel so tired of all shiny balls and present boxes with ribbons. 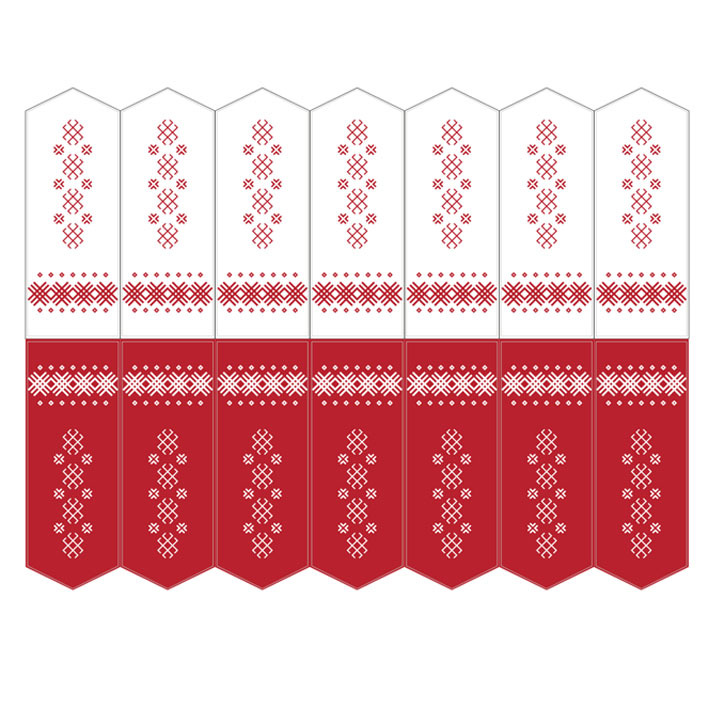 Thinking of a decoration that would be personal and traditional I remembered about Latvian mittens. 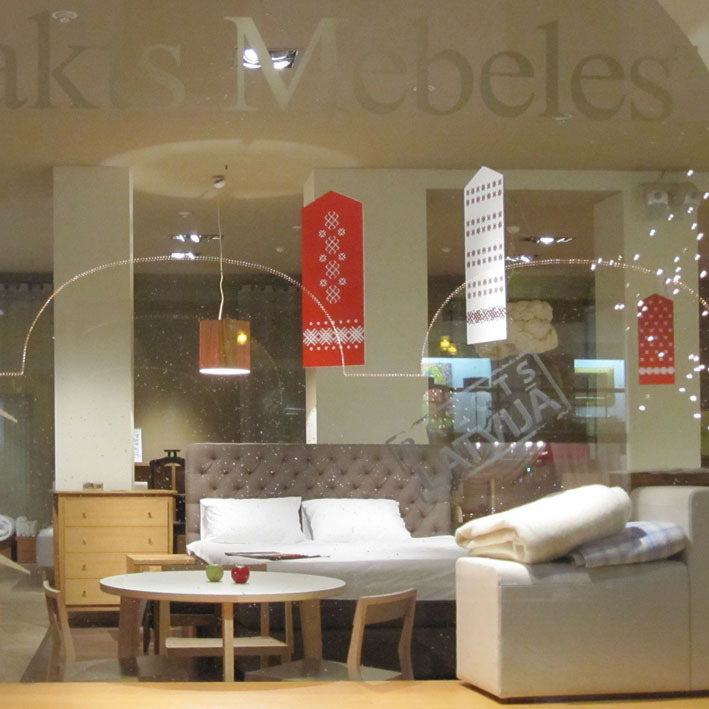 I tried to turn them into the Christmas decorations for showrooms of Nakts Mēbeles. I found many mitten drawings in some blog. 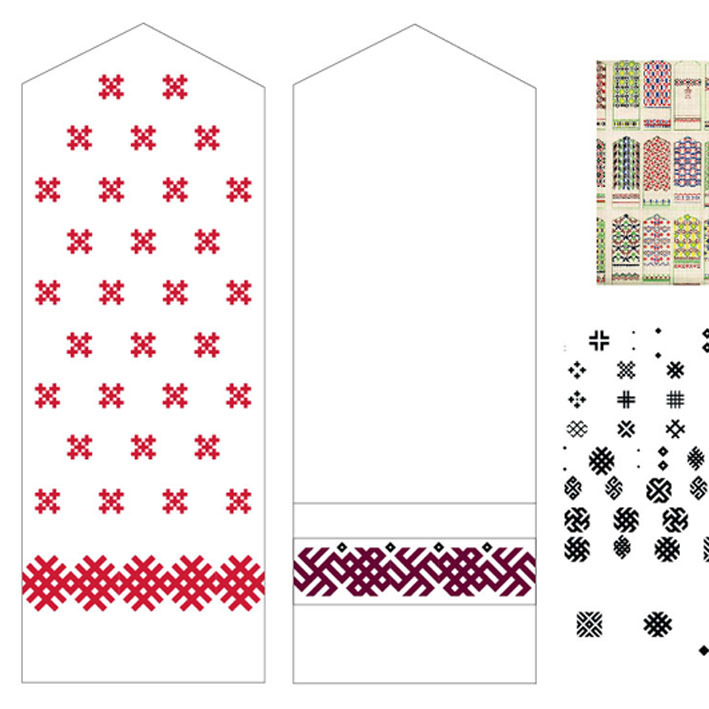 I made double-sided drawings of 4 types of mittens following traditional schemes. 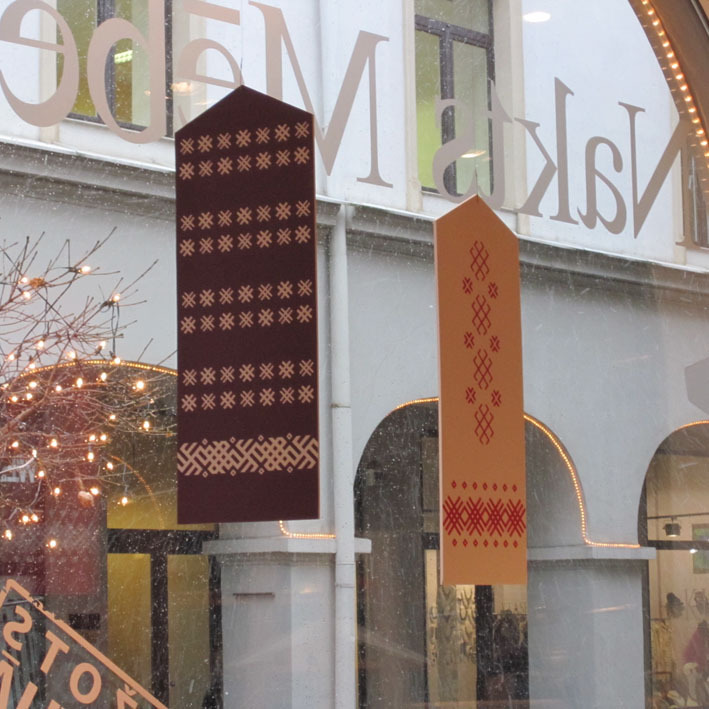 Mittens were printed and hanged all around the showroom. Latvian, unobtrusive, personal. Christmas mitten.